Whew. Well, the event was a success, I’d say! In spite of the crappy weather, it held off raining so we could have our BBQ and reading. For those not in the know, NM was subject to the same storms that hammered Colorado, and parts of northern NM and SE NM were hard hit. Roads washed out, some evacuations. We were spared in the Albuquerque region at least for part of the afternoon each day, and by Sunday, it was pretty much clearing out. Regardless, Colorado is in a bad way. If you’d like to help, click here. It was great meeting the readers who made it up to the picnic area, and great fun catching up with my fellow writers: Karen Badger, Lynn Ames, Nat Burns, Barrett, and Bett Reece Johnson (write another book, Bett!!!!). Thanks to everybody for a fabulous event. Special thanks to the Petroglyph Guild in Albuquerque for all their hard work! You guys ROCK! And thanks to the generosity of attendees, I was able to give $105 to Watermelon Mountain Ranch no-kill shelter, based in the Albuquerque area. On Sunday, the day after the writer event, I and fellow author R.G. Emanuelle took the money to a big dog adoption event on Albuquerque’s West Side, where we found Watermelon Mountain Ranch staff and volunteers and handed the cash over. Then we stayed and took pictures of the dogs (there were also a few kitties) and I walked a couple of the dogs up for adoption. I’m a huge fan and supporter of no-kill shelters, so if you decide you want to bring an animal companion into your life, please consider a no-kill shelter as a source for that companion. Other writing news: I’m going through the typset manuscript of Day of the Dead, which is slated for a fall release. I’ll post more info as it becomes available from the publisher. I will be releasing the novellas From the Boots Up and Some Kind of River as a pair in a print volume, so people who maybe don’t do the Kindle thing can get a print copy. I’m getting ready to have those typeset and I have to get a cover ready. Hopefully that’ll happen just after the new year. And yes, I am hammering away at a follow-up to Boots. It’s a full-length novel and it has required extensive re-writes and of course it will go to editors and I’ll get a cover ready and all that sexiness. I will be releasing that as an ebook and print. Expect that next year, hopefully late spring/summer. I have also started work on book 4 of the Far Seek Chronicles. In other words, I’m staying busy! And the NEXT event, people, is the Left Coast Lesfic Conference! I’ll be keynoting, along with fellow author/keynoter Linda Kay Silva, and imparting wisdom (ha!) at some panels and workshops. More info? Go HERE. Happy Tuesday and I’ll blog something more erudite (or not) later this week. In the meantime, happy reading and happy writing! September, join me and some other cool authors in New Mexico! This September, I’m going to be involved with an event outside Albuquerque, New Mexico. An author extravaganza/BBQ/reading/hanging out with readers kinda thing. Other: yes, we’ll be selling print copies of our books and yes, we’ll have burgers n’ hotdogs n’ veggie burgers and like that. More info: Western Women Writers (of NM) Facebook page. And here’s a flyer (.pdf) for your viewing pleasure! We’ll be providing more info at the FB page, including some suggestions about places to stay in Albuquerque, things to do, and maps to the event. It’s not that far, but you will need a car. Don’t flip out. 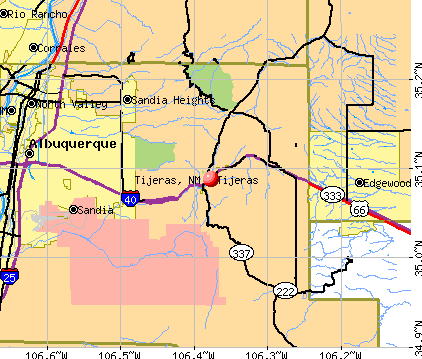 Tijeras is 14 miles from Albuquerque. The picnic area is about 6 miles south of Tijeras. Stay tuned! I’ll be posting info here, as well, and at Women and Words.